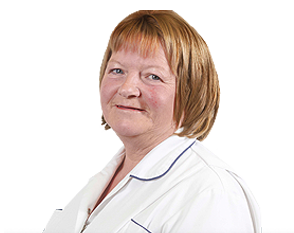 Welcome to Aberdeen Nursing Agency, the region’s number one healthcare agency. Since 1996, Aberdeen Nursing Agency has grown from strength to strength evolving from a small nursing agency to what is now, one of the region’s most respected healthcare agencies. We offer clients a first class service, providing carers, nurses, support workers and ancillary staff to a wide variety of care settings. Covering the North East of Scotland, it is our aim to place local healthcare professionals with local clients. Not only do our clients enjoy competitive rates, they also have access to a large pool of quality healthcare personnel and benefit from our fast and responsive service. 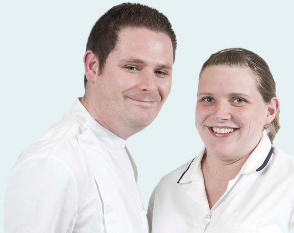 We recruit and train every day in order to keep up with the ever changing needs of our care clients. With 5s and 6s in our latest Care Inspectorate Report, Aberdeen Nursing Agency is the only nursing agency with such outstanding grades in Aberdeen City and Shire. Why not give us a try? All our agency workers have at least 6 months’ care experience and show a passion for their work. Our success as an agency is down to team work, with an ethos centered around delivering exceptional care, all day, every day. ana offers great training, excellent pay rates as well as total flexibility – you choose when, and where you want to work. Our team of experienced in-house care co-ordinators will never force you to take a shift – it’s all about what’s good for you. As part of our commitment to providing an effective and efficient service, Aberdeen Nursing Agency offers an ‘out of hours’ service, manned by Aberdeen Nursing Agencies own Care Co-ordinator team. Your call will always be answered and your query will be dealt with promptly and professionally. Meet John & Amanda Kellet..
"Being a student, parent and employee is difficult to manage, that's why working for ana has provided us with the flexibility required to maintain a good work-life balance. Working for ana recruitment makes working more enjoyable due to the flexibility and high standard of support and training it offers." "I joined this excellent agency over 5 and a half years ago as a care assistant. Initially i was full time but have now reduced my hours as i am currently doing my nurse training. Agency work suits my lifestyle as i work as and when i can which works around my studies – i just let the agency know when i’m available for shifts – which i can even do online which can be very handy when i’m very busy working and studying. The agency provides me with all relevant training needed. I also enjoy working at/with various types of clientele which this agency has. The work experience is also very good for my future career as a qualified nurse." "As a care assistant I've been with Aberdeen Recruitment Agency when i joined in 1997. I've stayed with the agency, as the flexibility was what i needed while bringing up a young family and even now with different family commitments the agency can still offer the flexibility i need. I've always found the office staff helpful and friendly to deal with they pay me weekly which suits me really well."